The publisher says: “Barney Willow’s life couldn’t get any worse. He’s weedy, with sticky-out ears. Horrible Gavin Needle loves tormenting him – Barney has no idea why. And headteacher-from-hell Miss Whipmire seems determined to make every second of Barney’s existence a complete misery! Worst of all, Dad has been missing for almost a year, and there’s no sign of him ever coming home. Be careful what you wish for! Barney doesn’t have a good time of it: his father’s disappeared, his mother hasn’t got time for him, he has a bully and even the head teacher is making his life a misery. When he thinks how nice it would be to be a cat, well, things happen. Very strange things seem to be going on under his very nose, and he never knew! Now it all makes sense, but that is no use, for Barney is in a real pickle. This is such a fun read! Things of course get worse before they get better, but in the end Barney gets his revenge. Everything turns out all right, well, almost. It is cleverly written and a convincing explanation is given of how things could happen as they did. A fun book for adults who enjoy reading children’s books, and probably also for children themselves. 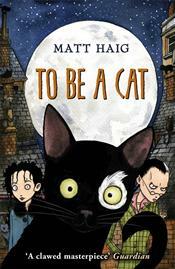 Extra: Other books I read by Matt Haig are The Humans and The Radleys, both novels for adults. Years ago, I read this book at school, for my French class. I remember enjoying it a lot. 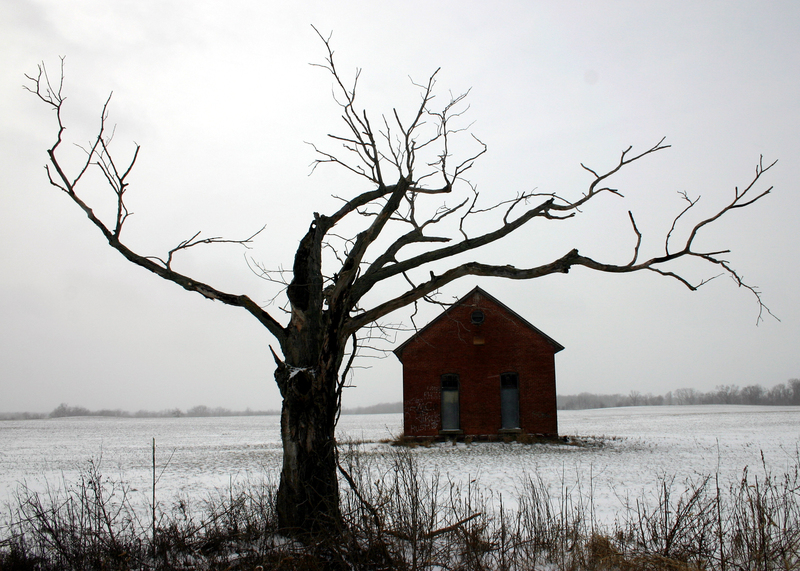 The recent re-read in English fared less well: I was underwhelmed. 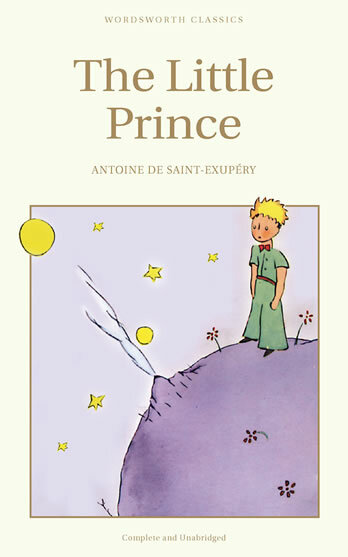 The Little Prince is a very short book about a man (the author) who crashes his plane in a desert in Northern Africa. He is all alone until a little man shows up, who claims to be from a different planet. The little man, a prince, tells him about his own (very small) planet, and about the planets he has visited before he reached Earth. While this is a children’s book, there are clearly some important life lessons in the book to be appreciated by adults as well. The book contains a lot of drawings made by the author himself. The idea is cute and I remembered this as an imaginative and charming story. This time around, I found it repetitive (the prince goes to this planet, that planet) and too unbelievable. For instance, the prince lives on a very small planet – to see the sunset after having just seen a sunset he only has to walk a few meters. The idea is fun, but it’s too far removed from a possible reality. So, while I liked some of the ideas in the book, the overall opinion was just so-so. Most people love this (as I did, years ago), so don’t let me put you off! 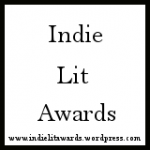 This book was on the shortlist for the Indie Lit Awards in the Speculative Fiction genre. I read this book because I was in the jury for this genre. 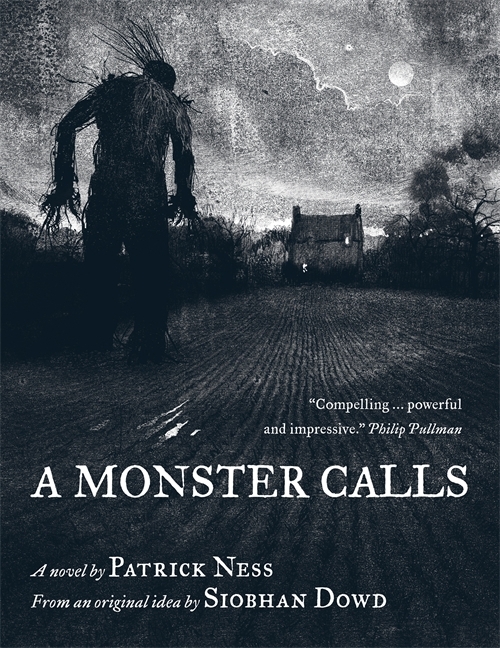 I had read one previous book by Patrick Ness, The Knife of Never Letting Go, which I enjoyed a lot. This book was a children’s book. It has black and white pictures throughout the book, quite dramatic! The book is about Conor, 13 years old, who is having nightmares. One nightmare in particular keeps coming back. But then one night, he wakes up to a real nightmare: A monster, looking like the yew tree that he can see from his window, is coming close up and looks very scary. Conor’s mother is very ill and there are some doubts that she will get better, although everyone is putting on a brave face. At school Conor is being bullied, his grandmother (whom he doesn’t like) takes him in for a while, and at night he’s visited by a monster. Life is very difficult for Conor. The monster that visits at night tells him stories from which it becomes clear that people aren’t just good or bad, as Conor has always thought, but that a baddie can do good things, and vice versa. This helps Conor in accepting his situation. It was a very well-written book with a heavy topic. I’m not quite sure what age group this book would be most suitable for. My son (14) read it and seemed to enjoy it but we didn’t really get to discuss it together. I think he was a little ambivalent about the book. I don’t read a lot of children’s books now that my own sons are teenagers, but I think this was a high-quality book, especially interesting for children who need to deal with a loss, or with guilt. Recommended. 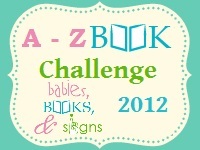 For the A-Z challenge, I needed a book with the title starting with a J. Not easy! Then I came across this book in the library. Maybe not a book I would have chosen otherwise, but isn’t a challenge for trying something different? So, I read it and I liked it… a bit. The story is about David Case who is fifteen years old and has a small baby brother. When he stops his brother from falling out of the window, he realises that one day, things may happen that he cannot control. He decides that Fate should not be able to get hold of him and so he changes he name (to Justin) and also his clothing and behaviour. A girl he meets in a charity shop, Agnes, helps him dress differently (not like David, but like the new Justin) and takes pictures of him. She’s nineteen and he falls in love with her. As Justin, David’s life becomes more interesting, but he realises that he still can’t escape Fate. Fate has a role in the book, too. It talks with bold type face. Sometimes with Justin, sometimes to itself (or to the reader). It plays with Justin, trying to get him killed. But that is not so easy! I liked the idea of the book: a boy changing his name and way of life to avoid Fate. However, it becomes unrealistic when he moves in with Agnes and his parents not minding at all. In fact, like in many children’s books, the parents are rather absent. They don’t play a large role in Justin’s life. On the other hand, the whole idea of Fate having a (talking) role in a book is of course pure fantasy, so some allowances have to be made for the realism of the book. Even so, it went a little too far for me. And the book didn’t really keep my interest all the way through. At points, I had to plough through a few chapters, before I found the story interesting again. But I liked it that in his new character, Justin was able to achieve things that David had never even tried. I think there is the moral of the story: you can re-define yourself if you want, but you cannot escape Fate.